A few months back we compared the costs of FOR SALE signs because heck, getting the most BANG for your BUCK is pretty dang important in any move. Who doesn’t like to save a buck or two?! Just think… less money spent on moving costs means more money to spend on cocktails at your upcoming house-warming party. Cheers to that! In that case, we figured, “why limit the saving to just For Sale signs?” Why not get the most bang for your buck in every aspect of moving? So next up on our cost comparison chopping block- Moving Boxes. Of course, some of you future movers can probably snag a few FREE boxes from friends, neighbors, workplaces, or even as secret dumpster divers just after dusk. Trust us, no one is judging…. free is FREE and if it means you have to flirt with an old banana peel or two to get FREE, more power to ya! *keep in mind, some of these kits come with tape, bubble wrap and other moving accessories that may throw off the true price per box. Through a little more research, we also found that these two companies specialize exclusively in selling moving boxes and moving kits. 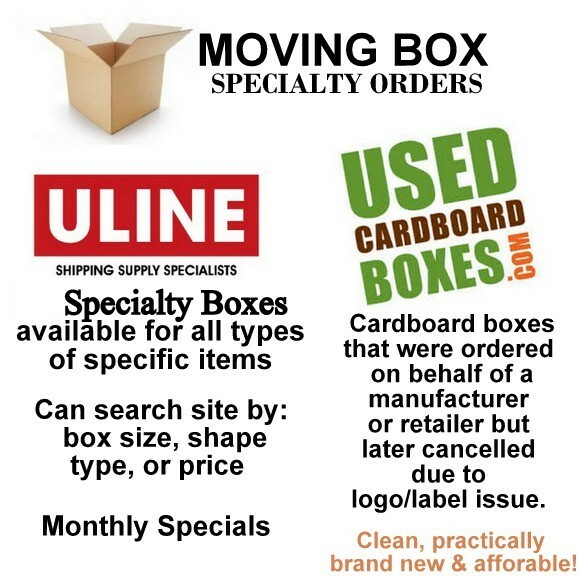 We loved that U-Line, an online/catalog shipping supply specialist, had some serious specialized products for any move. We loved that they had boxes that held anything from a tall, odd-shaped lamp, to dishes, to your wardrobe! Crazy how many specialized boxes they have available to ship right to your doorstep. Plus, you can search their site for exactly what you need! Oh, and don’t forget to check out their monthly specials… could be a great chance to save a few bucks! We were also super excited to learn more about UsedCardboardBoxes.com! 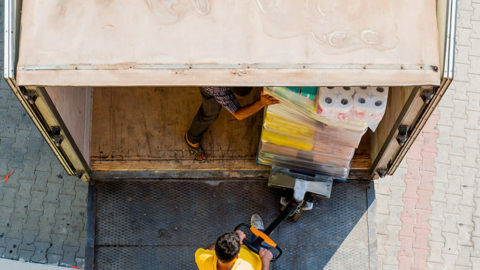 We love that they take otherwise rejected boxes that were originally ordered by a manufacturer or retailer, each that may have a slight logo flaw or label issue, and give these cardboard boxes a new life in the moving industry. 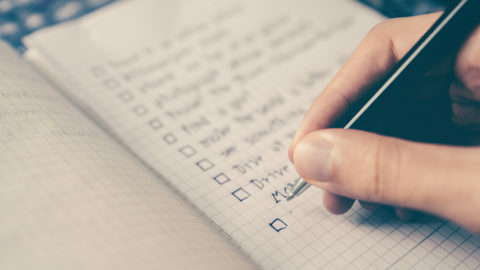 This environmentally conscious company offers moving kits, packing supplies, specific size box requests, and will even allow movers to get a personalized quote based on their individual needs. We especially love that they are tracking how many trees they’ve saved in the process…. like how amazing are they?! Affordable, environmentally kind, AND resourceful… two thumbs up to UsedCardboardboxes.com, you guys are rocking it!! 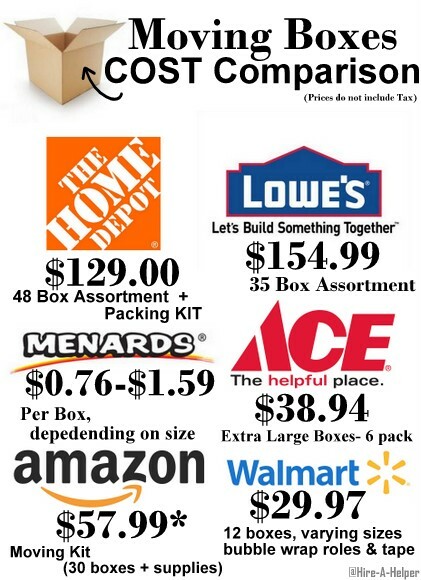 So there you have it, the 411 on the costs of moving boxes and moving kits. We’d also suggest checking your local Craigslist ads for more deals… you just never know who may be getting rid of boxes in your area. Good luck! We know we didn’t hit them all, so tell us….where do you buy your moving boxes from? How much do you pay? Share your money-saving tips below & give your favorite company a big shout-out here. I am finding that Lowe’s has a very good price on small and medium boxes (recycled cardboard), and adding a $10 or 10% off coupon for max savings.